If you don’t know who Jeff Spicoli is then we’re not friends. Go rent Fast Times At Ridgemont High immediately. It’s a classic. You might recognize some familiar faces in this video. I’m not a huge fan of his music (or at least I’d never admit it if I was), but John Mayer has a great sense of humor. This is a couple of weeks old, but still funny as hell. Hello again! I apologize for the lack of posts this past week, but I was enjoying a much needed vacation. The good news is I’m back and my first post is pretty ridiculous. Thank you LT for sending me one of the strangest things I’ve ever seen. Enjoy! Scariest picture ever. I think she used to be hot. When and how do you decide to make your face look like this? It looks like she was in Roger Rabbit and not in a Jessica Rabbit is hot kind of way. Gross. 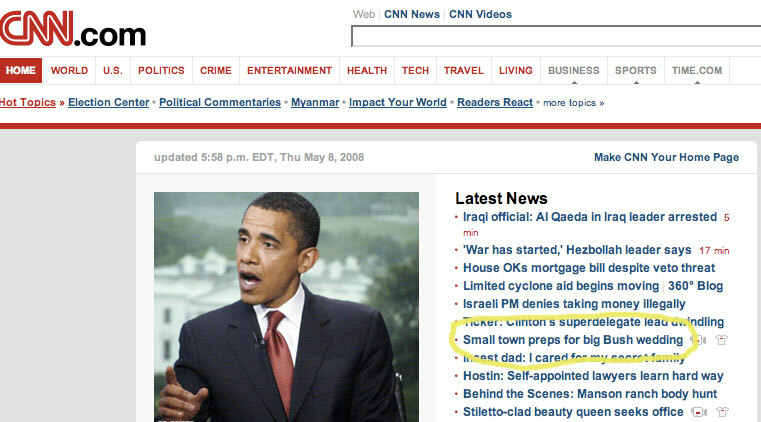 This was on cnn.com the week of Jenna Bush’s wedding. For some reason I chuckled when I read it. I’m so immature. No apologies. Indiana Jones and The Kingdom of The Crystal Skull has finally arrived. The reviews are in and their mostly positive. It’s currently 80% fresh on rottentomatoes.com. I would have gone last night at midnight If someone would have volunteered to go with me. I love these movies. I probably watched Raiders of the Lost Ark a thousand times when I was growing up. 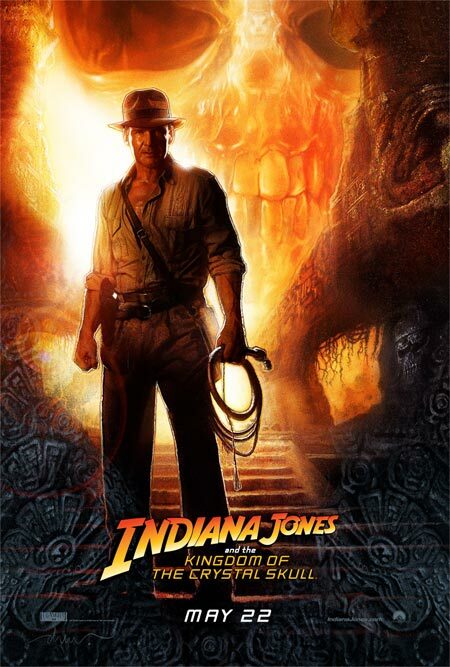 Indy was also one of my go-to Halloween costumes (I’ll try to find some pics). I’m going tonight. I’ll post a review tomorrow. Go see it too and post a comment. I want to hear from you.